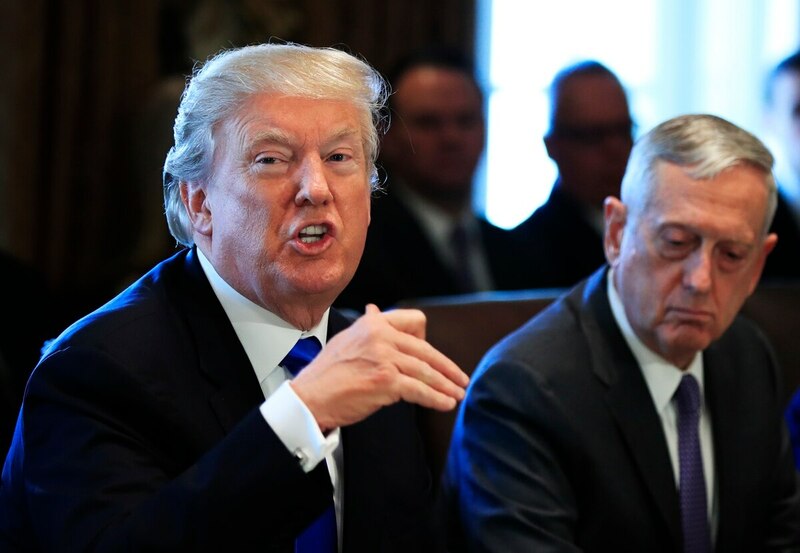 WASHINGTON — President Trump’s budget plans will fail at “rebuilding” the armed forces, but there’s room for lawmakers to act, according to a new American Enterprise Institute report. The conservative think tank argues the president’s 2019 budget request bets too heavily on research and development for next-generation technologies and that lawmakers must tilt the balance toward procurement of existing technologies to replace aging stocks. “The Pentagon will never have the chance to use the weapons it is developing if it’s preempted by a failure of deterrence in the 2020s, rendering the RDT&E expenditures for those systems irrelevant,” Eaglen writes. Shortchanging procurement would be risky, Eaglen argues, as the Pentagon expects a procurement bow wave due to increased wear and tear on core aircraft, ships and tanks. To boot, it creates a vulnerability adversaries might seek to exploit. “Unless the bow wave of procurement can be successfully mitigated, competitors will realize that the American are weak today but will be strong tomorrow—and it is better to act now than later,” Eaglen writes. Though the bipartisan two-year budget deal yielded a substantial $700 billion defense top-line for 2018, the $716 top-line for 2019 just keeps pace with inflation. Budget Control Act caps, and their enforcement mechanism, sequestration, are due to return in 2020 unless lawmakers act again to ease them. Readiness and modernization are likely to increase over the president’s 2019 budget request if lawmakers tinker under the hood as they did in 2017 and 2018. For example, the House Armed Services Committee has already included three Littoral Combat Ships in its draft of the 2019 defense policy bill, versus the administration’s request for one. The bill would block the Air Force from killing the JSTARS recap program. The Strategic Capabilities Office and DIUx look like winners in the budget. DoD’s $124.4 billion for procurement in 2017 leapt 19 percent to $147.7 billion in 2018, but it would fall 2.3 percent to $144.3 billion in the president’s proposed 2019 budget. On the flip side, DoD’s $73.9 billion for RDT&E in 2017 increased 23 percent to $90.6 billion in 2018, and it would grow 2 percent to $92.4 billion in the president’s proposed 2019 budget.